This glassy Lusthus has got to be perfect for long summer evenings amongst friends. 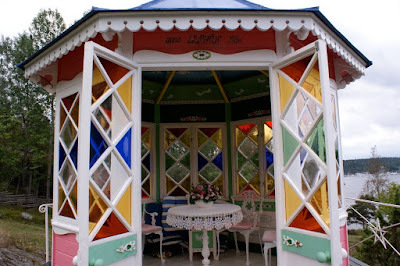 What a playful, colourful gazebo! It would be nice to spend some hours there!